Malcolm sent this one in and I must confess, it took me more than a double take to get what was not quite right here. Can you spot the problem with this sign? Zoe found this small sign in Thai and English for a hairdresser. 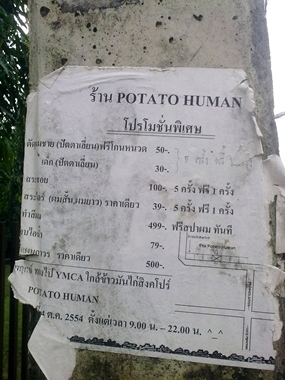 Raan Potato Human, for all your hairdressing needs. 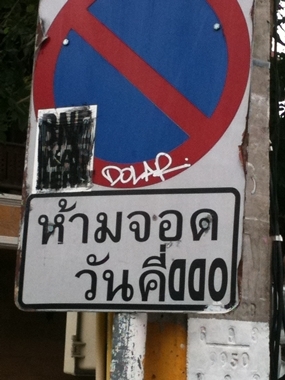 Well, perhaps the person confused maan farang and farang in their dictionary? At least they looked it up!